Description The patent pending Proto Primo Loader is the first of its kind with a positive feed shelf designed to relieve pressure on paint reducing jams and increasing feed rate. Powered by minimal agitation of the gun, the Primo Loader helps sort and funnel as you shoot for a consistent vertical feed. comes with a clear spring lid for easy reload. The large opening works well with proto alpha pods for the ultimate paint carrying system. large capacity durable shell holds 200 paintballs and makes for ease of cleaning and maintenance. Featuring an 8+ (or 8-10) balls per second feet rate.........and no batteries required. Features Featuring an 8+ (or 8-10) balls per second feed rate.........and no batteries required Powered by minimal agitation of the gun, the Primo Loader helps sort and funnel as you shoot for a consistent vertical feed The patent pending Proto Primo Loader is the first of its kind with a positive feed shelf designed to relieve pressure on paint reducing jams and increasing feed rate. Comes with a clear spring lid for easy reload. The large opening works well with Proto Alpha pods for the ultimate paint carrying system. Large capacity durable shell holds 200 paintballs. The BASE Loading System is the most advanced non electronic paintball loader available. With 180 round capacity and anti-jam technology maintains a consistent flow of paintballs within the lightweight tactical ready construction. Unique tray design filters paintballs into separate areas to maximize feed rate and minimize congestion. Loader shelf diverts paintballs evenly creating less friction thus cutting out bottleneck effect. High impact resistant glass filled nylon shell. Custom tactical/ combat appearance with Milspec 1913 tactical rail. Standard size feedneck. Polycarbonate spring loaded lid combined with widened fill area for easy ammo refills. Locking latch for exceptional paintball security. The BASE Loading System is the best gravity fed hopper available. The loading system features a filtering tray. Design allows a consistent rate of paintballs to be fed into the breach using minimal recoil. Lightweight, durable large capacity nylon shell with standard 1913 picatinny rail mount. 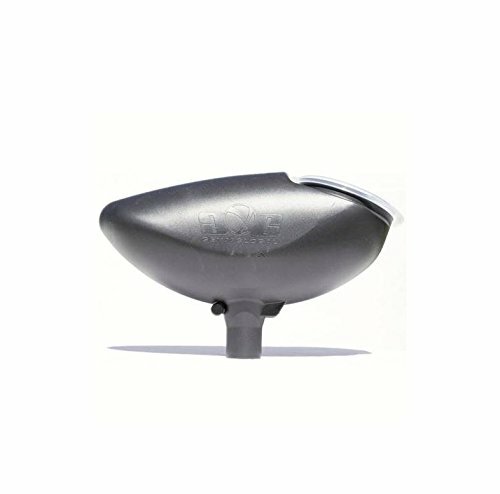 Spring loaded locking lid for absolute paintball containment. The invert halo too is the best performing loader for the money. With a cost that is less than half the price of some top loaders, the outstanding performance of this paintball loader will make this an easy choice for most players. The ultra-quiet belt drive will force-feed 20+ balls-per-second, allowing your marker to throw plenty of paint at your opponent. The freeway anti-jam keeps the loader from jamming and breaking balls, so you`ll still be shooting while others are busy scraping paint. 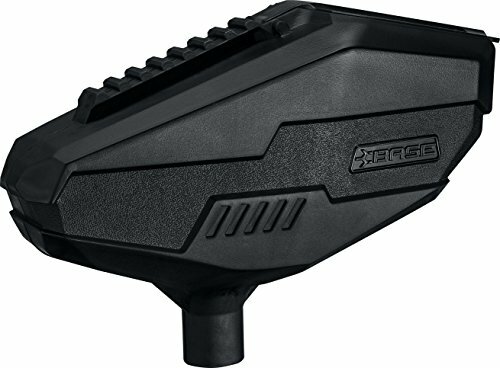 The new, matte black polycarbonate shell can withstand any hit and can easily fit 180 paintballs. The onboard computer directs the sound-activated feeding and allows you to program the motor speed, microphone sensitivity and feed stack monitoring. But of course, with a name like halo, you knew you`d be getting the ultimate in paintball loader technology. Put this loader on your marker and invert will make a believer out of you too. 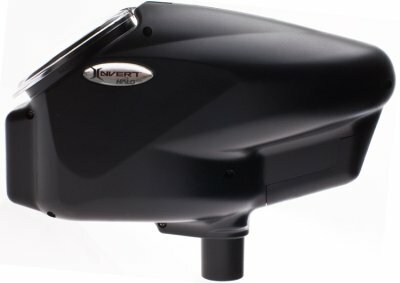 Features: - 20+ bps rate of fire - ultra quiet belt drive - freeway anti-jam for continuous feeding - sound activated - 180 ball capacity - low battery indicator - 1 hour auto shutoff - customizable - matte black finish. When you're in the middle of an intense paintball match, you want a hopper that is fast and reliable. ALEKO's .68 caliber hopper with speed feed paintball loader will keep your marker stocked and ready to go! 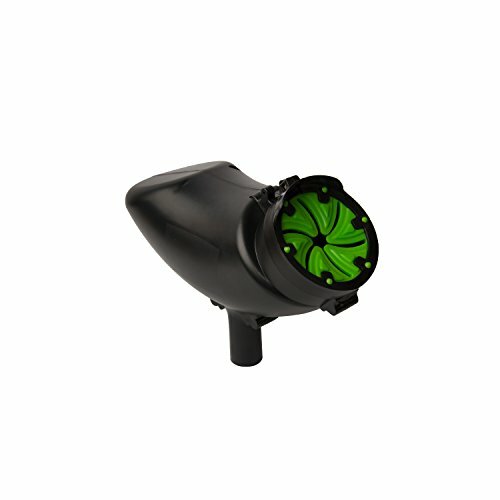 ALEKO's hopper is made of strong black plastic, with a gravity fed flexible green rubber speed feeder that can withstand plenty of punishment while you load your marker. The hopper can hold between 180 and 200 paintballs easily, and can hold all standard brands of .68 caliber paintballs, so you can focus less on getting the perfect paintballs to fit and more on having a good time! 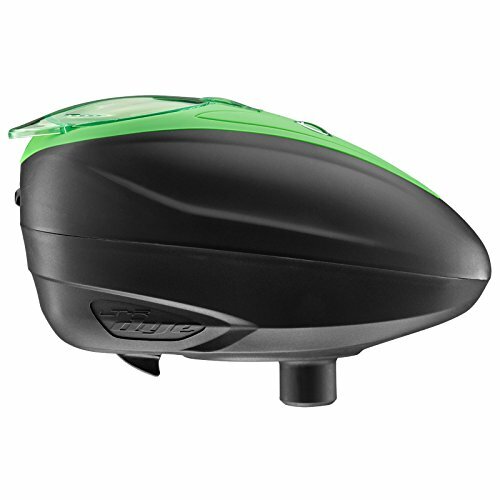 Color: Black plastic with Green rubber speed feeder. Perfect for your paintball gun. 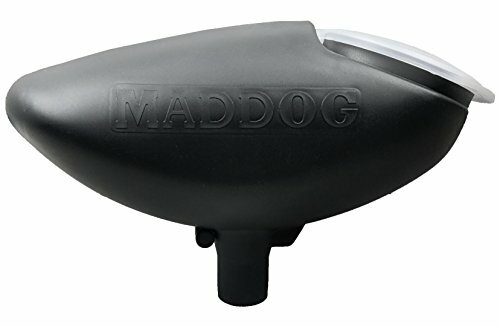 Maddog's 200 round gravity fed hopper is the standard loader in paintball. Compatible with all standard paintball markers on the market. 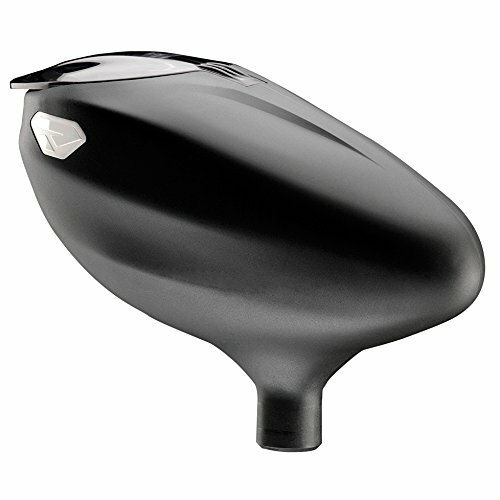 Spring-loaded flip top lid shuts tightly and opens easily for faster re-loads. Heavy duty split-shell construction completely disassembles for thorough cleaning. 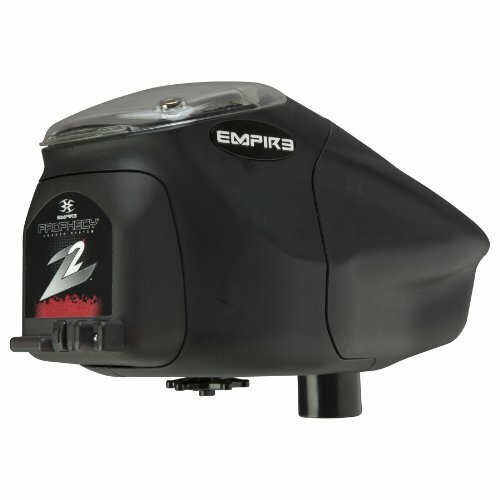 The Empire Prophecy tradition continues with the release of the Prophecy Z2 Paintball Loader. The Prophecy Z2 Loader continually monitors drive force, rate of fire, and it automatically clears a jam before you have a chance to miss that perfect shot. In the blink of an eye, the Prophecy Z2 will have performed more proactive measures than any other loader ever created. It’s the most advanced, easiest to use feeding system ever designed. Made of super strong-reinforced composites combined with its ultra-lightweight design and low profile, the Z2 will supercharge every player's game. Looking for more Gun Loader Hopper similar ideas? Try to explore these searches: Ezy Dose Pocket, Lemon Cherry, and 2009 Shelby gt500. Look at latest related video about Gun Loader Hopper. Shopwizion.com is the smartest way for online shopping: compare prices of leading online shops for best deals around the web. Don't miss TOP Gun Loader Hopper deals, updated daily.